Like offbeat films, there are offbeat actors too; in recent years I find Ayushmann Kurrana as one. There is nothing about his personality to catapult to him to a lover boy on whom girls will swoon over or a super hero who can bash ten goons in fisticuffs. (but, honestly, many super heroes of Indian cinemas are far from being super, in my view!) The reasons are simple; he doesn’t carry any magnetic charm of class with him. He looks more like a character actor than a hero. The first movie I watched was his debut film ‘Vicky Donor’; probably a role which would have been rejected even by any new entrant in the Indian milieu. A theme which could have been easily turned into a sordid one was made into a remarkably educative and emotional movie. Ayushmann as the sperm donor had carried his role with a lot of conviction and ease. That was an amazing feat for a new comer, in my view. Kudos to writer and director also! The other three films I watched only established the impression I have formed about the actor. ‘Barreily ki Barfi’ is a light hearted entertainer where his role is bordering on a self centered man and also a bully and threaten his timid pal Rajkummar Rao to act as he wants to achieve his love for a girl; to be exact, it is a ‘mean’ character and an anti hero. But, Ayushmaan walked through his role of Chirag cleverly. The two recent releases which have turned out to be back to back hits ‘Andhadhun’ and ‘Badhaai Ho’ only added to my judgment. As a blind piano player trying to escape from the scary developments of a murder is completely an author backed role. Ayushmann proved that he is a director’s actor and with no image tags, he could slip into the role and executed it with full understanding. But, ‘Badhaai Ho’ is completely a different one; middle class youth with normal life and socially ingrained traditional values but prefers to be modern. How his mom’s late pregnancy embarrasses him and the subsequent realization of his family is more important that the derisive comments he and his younger bro’s friends are countered are effectively portrayed by Kuranna at the behest of the director. In his recent Filmfare interview he had mentioned about is personal daunting situation because of his wife’s illness. 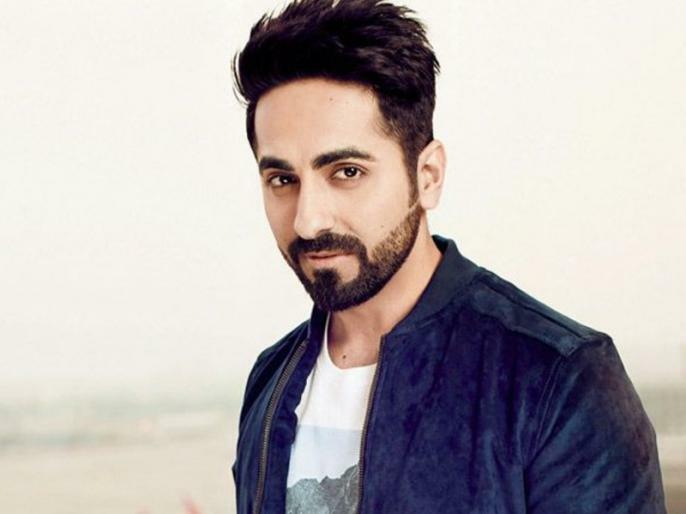 Ayushmann Khuranna with no filmi background had emerged as a performer purely based on his author backed unconventional roles and his understanding performances. Let me wish him not to become a super hero of any sort; let him become a dependable actor who can be banked on for any unconventional but strong roles with full faith in Hindi filmdom!